Just like every other kids who went to elementary school in America I knew that the Boston Tea party happened. I knew that colonists dressed up like Indians and threw British tea into Boston Harbor. I had kind of pictured it as the colonial version of TP-ing the mean neighbor's house. What I didn't know was exactly why it happened, or especially that it involved 92, 000 pounds of tea- an enormous job that took most of the night. I was totally unaware that similar "Tea Parties" occurred all across the colonial seaboard, that ships containing tea were sent unloaded back to England and that several British Sea Captains came close to being tarred and feathered or worse. Although not really a nautical book "Ten Tea Parties" does feature stories that center mostly around ships and shipping. It's an easy and very interesting read. If you're old enough to have been involved in these affairs it could make a really interesting addition to an Acasta'a back story personal history. 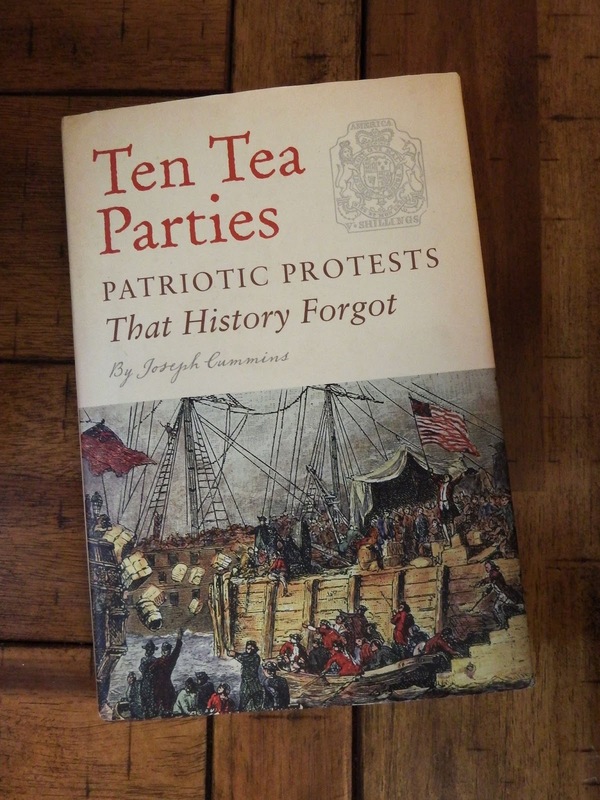 Our very own Annapolis Tea Party, partly caused by London Town merchants, is one of those featured in this book! I'll need to pick up a copy.